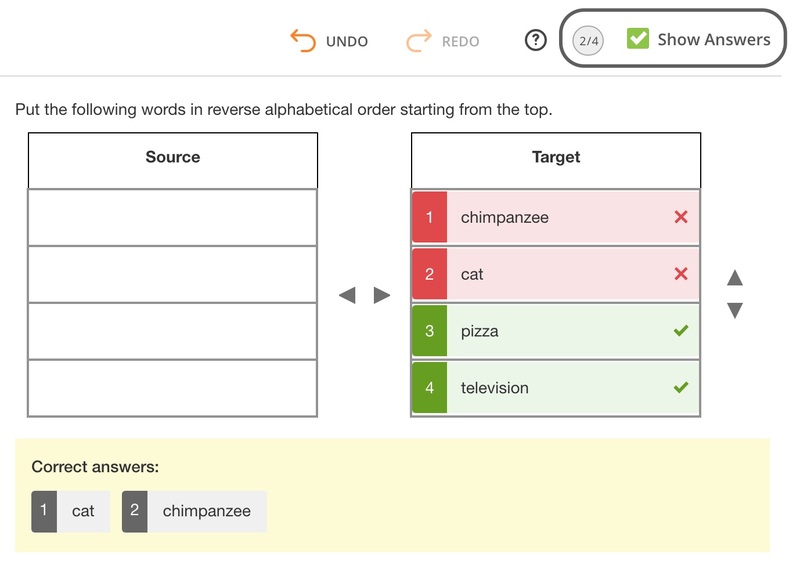 A sort list question is a drag and drop type question that asks the student to move a selection of predetermined answer choices from one column to another column in a new order. In the Compose Question field, write the instructions you want the student to follow. Write the names of the items you want the student to sort in the list. Click the Add button to add more choices or click the garbage icon to delete the choices. 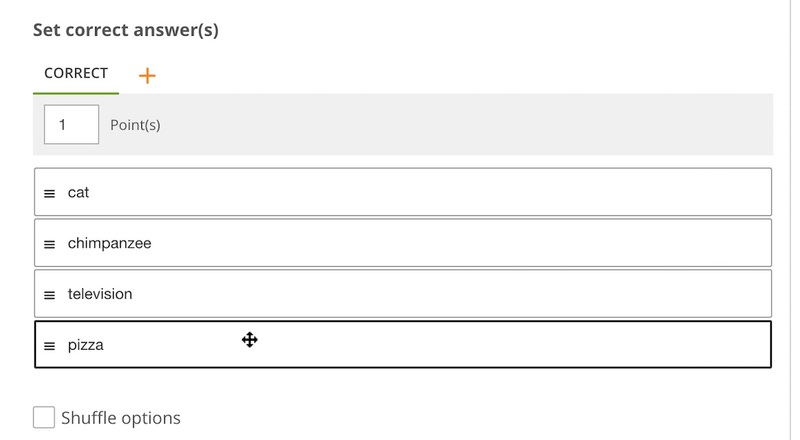 In the Set Correct Answers section, enter the point value for each correct response, and then click each item and drag it to the correct order. You also can choose to shuffle the options. Click on the carat to show More Options. 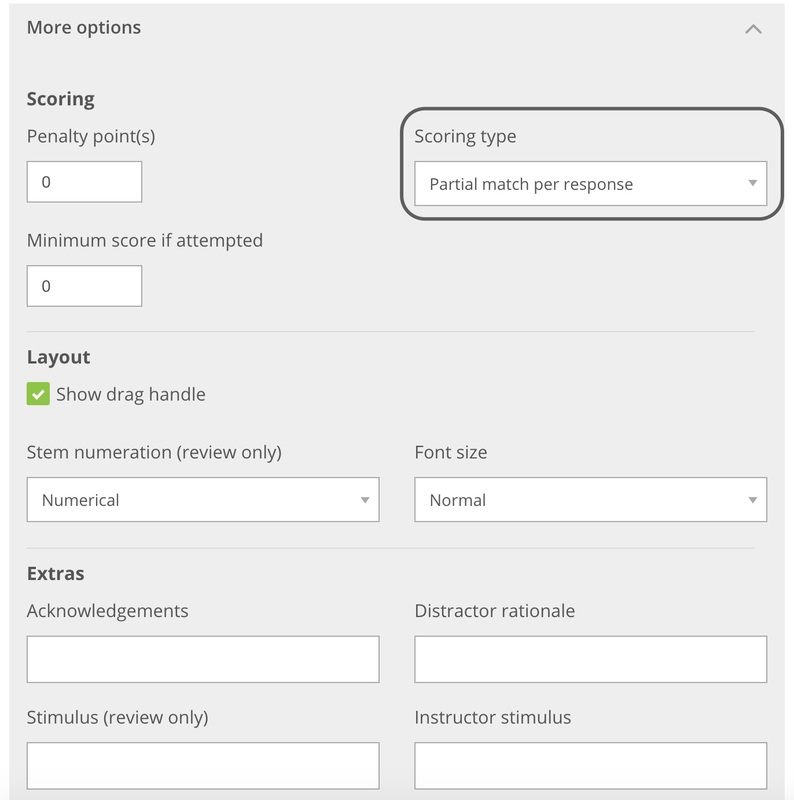 You will be able to select the scoring type to be exact match, partial match per response or partial match. You can also change the layout and choose to show the drag handle.